One of the nice things about Prague being in the heart of Europe is that Prague is close to many great cities. One of them is Berlin. Traveling by train to Berlin from Prague is a great experience. The trip takes just over four hours. The trains are roomy with lots of luggage and leg room and compared to taking the cramped bus, it is a luxury cruise. Lots of people have asked me where they should book their tickets online. I always have the same response: Why do you want to book your tickets online? The best option is to purchase the tickets right at the Main (Hlavni) train station in Prague on the day you want to leave for Berlin. June 20, 2014 I was at the Main (Hlavni) Train Station and I asked how much it costs for the next train to Berlin. The price is 1730 CZK or about $86.00 US dollars for 2nd class. The price is the same regardless of what time of day the train leaves. 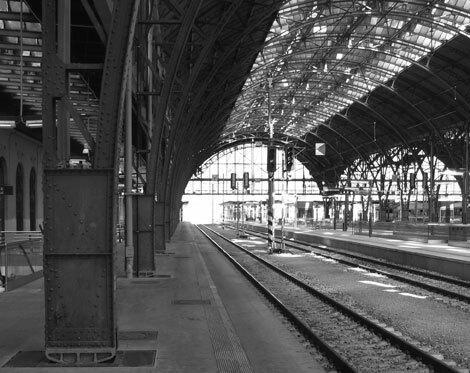 A train leaves from Prague to Berlin eight times every day and seven days a week. If you miss a train then you can always catch the next one which leaves a few hours later. I have been to Berlin a few times and the train has never been sold out. Actually I arrive just an hour before it leaves and never have a problem purchasing the ticket and getting a seat on the train. Of course if you need a window seat then it is a good idea to come a little early so that you have a better selection of seats. The travel time is around 4 hours and 15 minutes.